How do I obtain some of these sheep? The best way to find some of these sheep is to speak to the Secretary, who can then put you in touch with a breeder in your area or let you know of a sale. We can allocate a mentor to new keepers if they so wish, so that they may have a point of contact for advice on keeping this wonderful breed, once again speak to the Secretary. How do I know if a Greyface Dartmoor sheep is registered with the Greyface Dartmoor Sheep Breeders Association? This is a question we are often asked. All registered Greyface Dartmoor sheep are issued with a small metal tag. This denotes the year of birth on one side and the DSBA flock number and the individual number of the female sheep on the other side. For the rams that have passed inspection, they will have the same metal sheep tag but with just a 4 digit number printed on it and nothing else. If the sheep you are looking at do not have this then there is a very high chance they are not registered with the Association and cannot be registered retrospectively with the DSBA. The tag applicator is available from the Secretary, or many members across the country have some pliers you can borrow. If you get stuck – just ask. 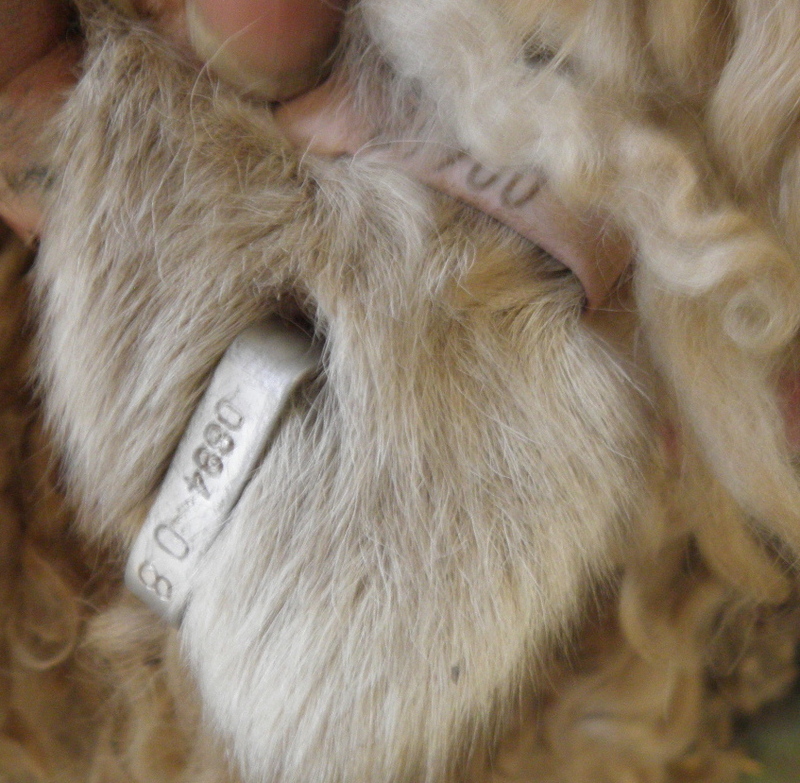 If a ewe or a ram does not have a metal tag such as this then it is not entered into the flock book and there is no upgrade scheme for any sheep in place. If you want to ensure you purchase a pedigree animal that IS entered into the flock book and IS eligible to produce offspring that can also be entered into the flock book then please make sure the ewe or ram has an official DSBA tag. tag in the right ear. and the year of birth e.g.